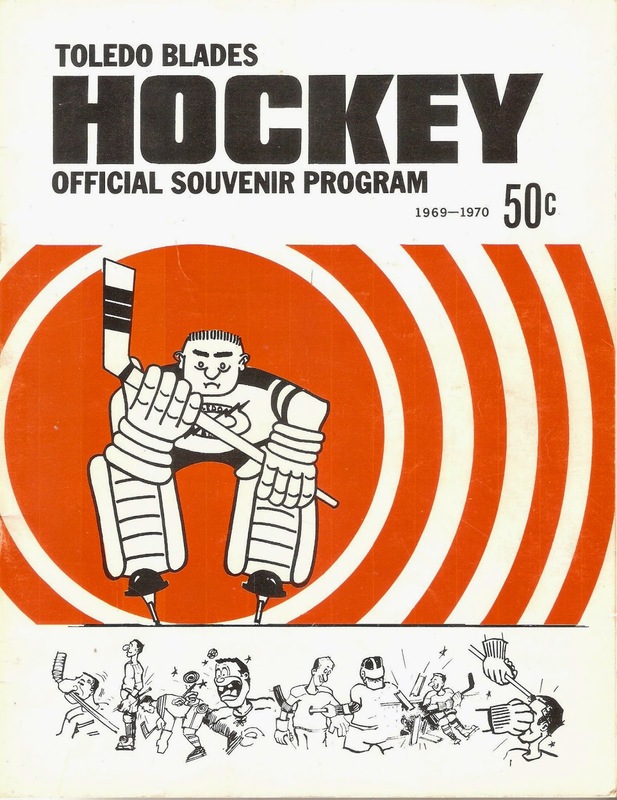 In 1969-70, the IHL split into two, four-team divisions with the arrival of the expansion Flint Generals. Toledo joined the Southern Division with Dayton, Des Moines and Columbus. Bill Mitchell was the coach of the Blades for this season, the seventh in franchise history. The Blades finished second place in the South. Their mediocre 32-33-7 record earned them 71 points, nine behind first place Dayton and 29 behind league-leading Muskegon. Toledo tied for the second-fewest goals in the league that year, scoring only 241. Mitchell's club was led by Ray Germain, who had 22 goals to go along with 70 points. Wayne Zuk led the team in goals with 41. Five other players on the roster had over 20 goals. On the other hand, the Blades defense was stellar. Toledo allowed 265 goals, second-fewest in the IHL that year. Glenn Ramsay had a solid season for the Blades, playing in 61 games, before being loaned to Port Huron. Toledo used two other netminders, Jerry Fleury and Al Cecile. The Blades qualified for the Turner Cup Playoffs that season and faced the Des Moines Oak Leafs in Round One. In a low-scoring best of 5 series, the Leafs eliminated the Blades in 3 straight, outscoring Toledo 11-6 in the process. Dayton would go on to capture the Turner Cup in seven games over Port Huron. This program has 47 pages, mostly all black-and-white. There are short bios about Blades players and letters from the ownership group. Ads include A&P (which had 22 area stores then), Blatz Beer and Patchey's House of Auto Parts. McDonald's has a color picture of one of their drive-thru restaurants below the roster sheets. That night's opponent was the Fort Wayne Komets. Aftermath: 1969-70 was the final season of the Toledo Blades. In an attempt to boost attendance, ownership changed the team name to Toledo Hornets. They would remain in town for four more seasons.